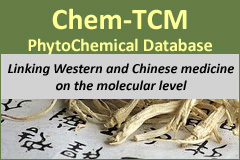 TimTec NPL (Natural Product Library) is a library of 800 natural compounds composed of pure natural products as lead identifying materials. Compounds are primarily sourced from plants with the remaining samples from bacteria, fungus, and animal sources. Rediscovering Natural products Article: Interest in natural compounds is on the rise. TimTec Natural Product Library was screened to identify compounds that significantly reduce infectivity without cytotoxicity. 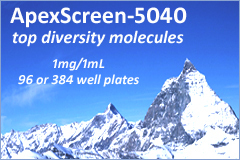 NPL collection featured 280 compounds at the time of the moderate-throughput screening. 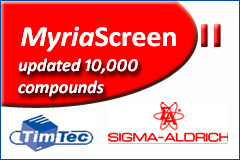 MTS assay is adaptable to different virus systems. Out of 280 compounds, 15 molecules showed antiviral activity and were identified as promising models for immunomodulatory agents. Download available compounds that reduce rotavirus infectivity without cytotoxicity.